Finding the best acoustic guitar can be a difficult task, especially with how timeless this instrument is and how many gems there are in the world today. We remember the first time we picked up our dad’s acoustic guitar when we could barely talk; something about the feel of that wooden finish and brass strings being strummed still holds a strong emotional association in our lives to this day. This motivated us to compile a quick and easy guide to help your search in case you had a hard time sifting through the rubble. 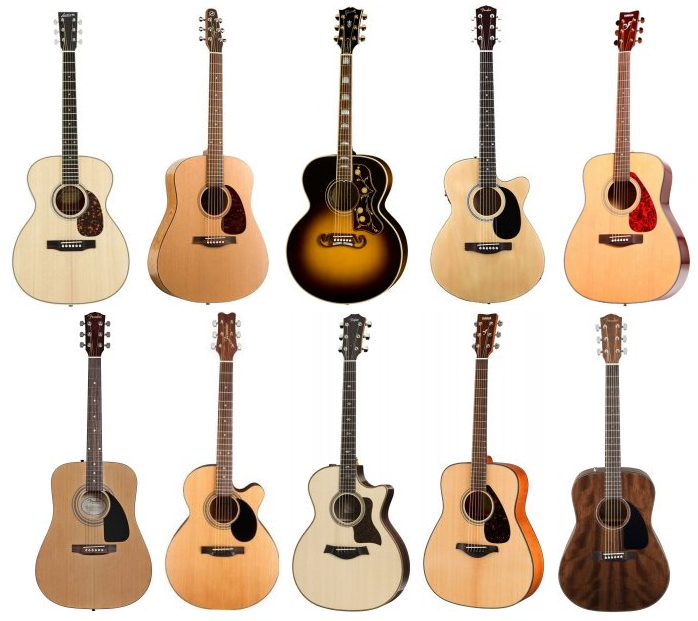 As we continue our search for the best instruments of all time, today we’re met with the top 10 best acoustic guitars to help you find the perfect model for your strumming needs.